Kestrel nestboxes are busy places this time of year. Because kestrels’ nesting habitat (tree snags) has all but vanished in their range, and because they take readily to man-made and managed nestboxes, our dedicated group of Kestrel Nest Box Program volunteers are also busy this time of year checking out what’s happening in the nests! To aid in their efforts, Madison Audubon volunteer Pat Ready created a “Guide to Kestrel Box Species” which helps monitors determine who is using the nest (because it’s not always kestrels! ), and what to do about it. Download the PDF here. All photos below are by Pat Ready. Wood chips with brown speck-led eggs means Kestrel nest! Eggs will hatch in 30-35 days. Kestrel chicks that are a few days old. Huddled together to stay warm & feel safe. Kestrel chicks about 2 weeks old. Developing true feathers to replace downy feathers. Kestrel chicks about to fledge. All brown = females, Blue-grey wings = males. Do not disturb! Disturbance at this time may cause chicks to pre-maturely fledge. European Starling. Nest is made of rough grasses & feathers. Eggs are larger than robins. Exotic & invasive. Remove nest! House Sparrow. Nest is made of rough grasses, feathers, & debris that fill the box. Eggs are grey with speckles. Exotic & invasive. Remove nest! Tree Swallow. Nest is made of fine grasses & feathers. Eggs are white & elongated. Native. Do not remove. House Wren. Nest is made of sticks & twigs. Wrens will fill entire box with sticks. Native. Do not remove. Screech Owl. Owls will use kestrel boxes over winter to roost in. Regurgitaed pellets are sign of owl use. Clean out in spring. Eastern Bluebird. Nest is made of fine grasses and often cover wood chips. Eggs are light blue. Native. Do not remove. 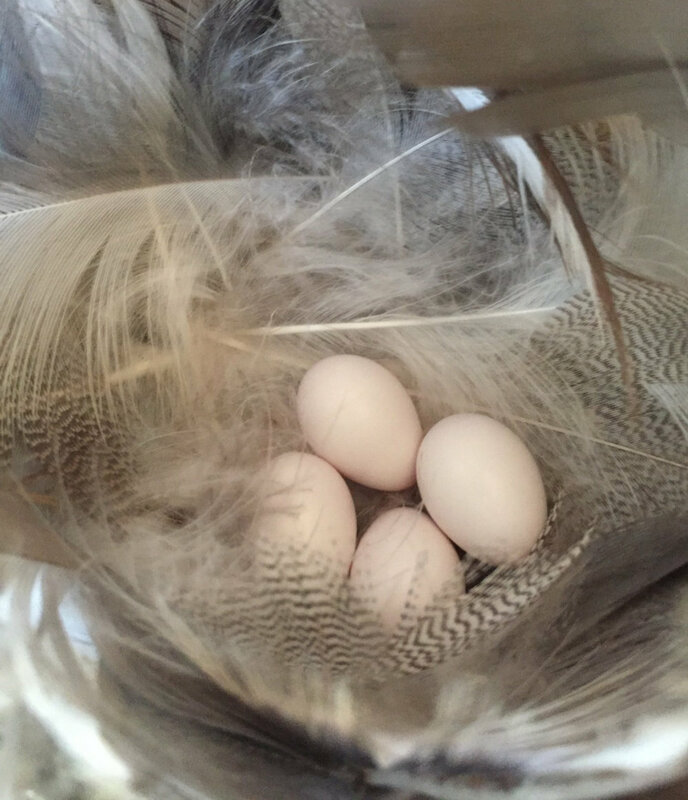 Learn more about Madison Audubon’s Kestrel Nestbox Monitoring Program here.